I am a bioengineer and researcher so biology is the science I engage in every day. Sure biology can be challenging with mountains of new vocabulary words and it's propensity for delving deep into the minutiae of biological processes, but it is all so worth it - this is the study of life! Working with me, you will learn the best and most efficient way for memorizing and understanding all of the many intricacies of biology. Colin delivers an exceptional lesson experience and ranks in the top 15% of our teachers nationwide. As a tutor, my goal is not to impress students with how much I know. Rather, my goal is to show my students how easily math and science concepts can come to them when they are presented the material in a straightforward way. The late physicist, Richard Feynman, posited that the ability to explain complicated ideas in a simple manner is the true mark of understanding. I agree with this assertion, and I make it my goal each tutoring session to explain even the most complex phenomena in a simple way, so that my student will come away from the lesson invariably understanding it. Additionally, I emphasize a strong understanding of the fundamentals, because both math and science are heavily inductive disciplines; many of the theorems and laws are founded on other, more fundamental principles. I have personally experienced the discouragement of trying to learn material that is beyond my preparedness level, and so I can empathize with students who are in that boat. Fortunately, I have learned that the remedy is always a return to, and a strengthening of the basics. That is the approach I take with students who find themselves struggling in a course. I have been tutoring math and science subjects through online platforms since 2014, and have provided over a thousand hours of tutoring to students of all ages and educational levels. I was a tutor in the Math Lab at Miramar College. 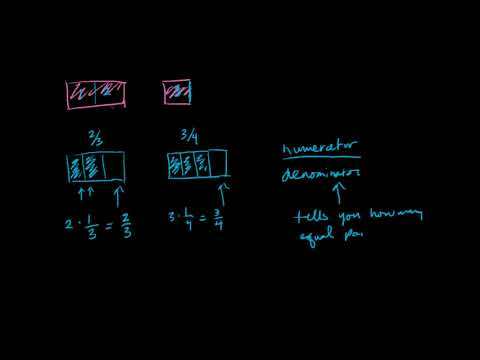 Here, I tutored pre-algebra through multi-variable calculus. At the PLACe I helped students in various English and humanities courses with their essay writing. Generally, students would ask me to read their drafts and I would advise them on grammar, syntax and structure. At the end of every lesson I send my students a copy of the notes we took during the lesson. Here are some example notes. 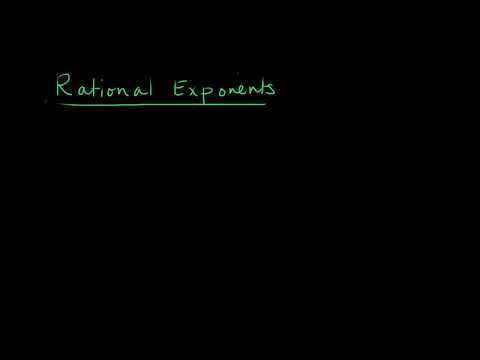 An introduction to rational exponents - a glimpse of my teaching style. Being presented with a small gift after winning Jack Kent Cooke scholarship. 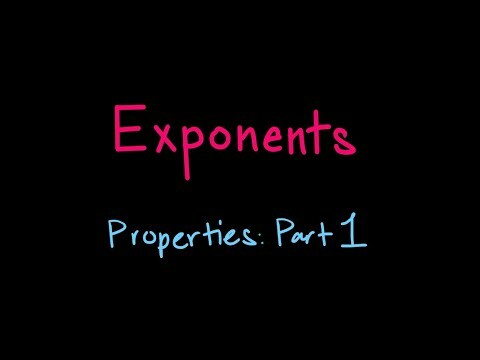 An introduction of some exponent properties. Jack Kent Cooke Graduate Scholarship award letter. Colin is an instructor for whom tutoring is a genuine passion for the education of others. He patiently ensures that I thoroughly comprehend the subject matter and that I do not just memorize the content of the lesson for testing-related purposes (as I have in the past.) His style of teaching assures that I meaningfully retain the information to ensure that it is applicable to my immediate education as well as real-world future endeavors. Colin is very knowledgeable and helpful. He does an excellent job of teaching the concepts and has been more than helpful with specific word problems. He is very thorough and has made additional concept videos to help my daughter understand physics concepts. We've appreciated his help. Thank you, Colin! Super good at explaining why things worked and making sure that I knew how to do everything. Going into my test tomorrow with confidence that I will get a 100%. Mr. Colin is an excellent tutor! He is the first tutor of many from whose teaching my AP Chemistry grades improved drastically. He is very easy going and also easy to talk to. If you don't understand something, he will try to explain it in as many ways possible; just make sure to stop and let him know that you didn't understand the concept. I am very satisfied with his teaching style and therefore plan to have more lessons with Mr. Colin in college chemistry classes. I would 100% recommend him to anyone! So far, so good, and we plan to continue to use Colin as a tutor. My daughter started tutoring with him for extra practice and gaining insight into concepts that she was having trouble with in middle school math. She went from a low C to finishing out the school year with a B in math! Colin helped me through the last semester of IB Calculus. He would email me two days before each lesson so he was prepared with a relative lesson plan for our hour long weekly session of review. He even created a video explaining a topic I was stuck on and sent it to me after our weekly session. I wouldn’t have gotten an A in the last semester without him. Thanks Colin. In our limited time together, Colin effectively helped me to prepare and be ready for the AP Calculus exam. He was able to cover any topic that I had questions on, and in great detail; he always explained each step of every problem thoroughly, not leaving anything out of the picture. Another thing worth mentioning is Colin's passionate approach to teaching. 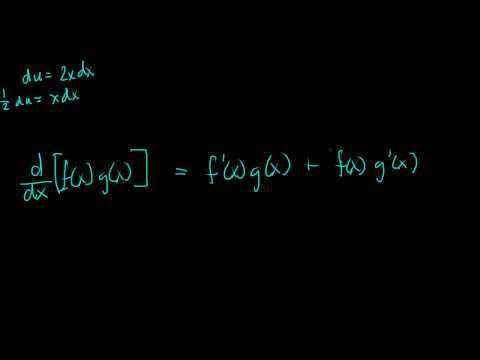 He would always go about each lesson with unmistakable enthusiasm, showing that even calculus could be fun, if you were willing to see it as so. He was also always willing to go all the way with any problem, even if it went over the time limit; he wanted to make sure that I had no questions or concerns about any topic, no matter how complex it might have been. So, all in all, if you are looking for a suitable calculus tutor, Colin is certainly a very worthy option! Colin helps me through many problems I encounter in school.He doesn't go too fast or too slow he goes at the pace that best suits you.He has been a great help for me and I look forward to doing more lessons with him. Colin has done a great job helping my daughter understand chemistry. Her teacher this semester doesn't provide much instruction, so Colin has been great about explaining and making sure the concept is understood. He's also been easy to work with and flexible when we've needed to change the schedule. I cannot believe that I actually like math! thanks for these awesome classes! I keep learning every day! Thank you so much. Colin is absolutely amazing teacher! Last time I studied math was 20+ years. I am 40 years old and about to finish my second degree CRJ, and like many others I left math class at the end. Taking the math prep test (which I failed) placed me almost in kindergarten..Lol! and I knew I needed help to re-learn math. I am so happy Colin answered my request (I sent 15 requests, and only 2 teachers answered). I wanted to start eating the study guide provided by CSN and just focus on the topics, but Colin wanted to show me the "why we have numbers, type of numbers, etc" definitely I wanted to fly before I could walk, and I am so grateful he had a different plan............because IT MAKE SENSE! I mentioned I prefered to have a lobotomy (siks!) instead of facing math in my 40's because I never had a chance to understand math, I just digested the fact I was going to fail and obtain an "s" for grade. I am looking forward to like, learn, and comprehend math with Colin's help so I can graduate in December 2018. My son stated that he went from a level 6 out of 10 to a 9 out of 10 readiness for his test based on just this one lesson. Colin was extremely helpful. My students commented that it was nice to work with someone who can explain the material. They felt very comfortable working with Colin and are grateful for the help! Thank you! Super work. I was really happy with his work and teaching. Colin's vast knowledge in so many subjects allows him to find unique approaches to teach and tutor. He knows the material so well that he is always able to find ways in which to break down the process of understanding the material. Colin will also breakaway from the point at hand if he feels that there might be some basic knowledge that I might not be aware of, but will contribute to my understanding. He also provided me with techniques that have helped me restructure the way I learn. Overall, a great instructor that has helped me come a long way in my ability to learn. Colin is amazing. I was preparing to take the AFOQTS and my first score was 70... I scheduled lessons with Colin and 2 weeks later I scored a 98 on the actual test! Colin was extremely good at communicating with me, being flexible in our lessons and adopting what he was teaching to exactly what I needed. Like me he had to "relearn" math as an adult and because of that he is able to explain things so that they make sense logically rather than give formulas to memorize like my horrible public school teachers. I really cannot recommend him enough, thank you for all your help Colin! Colin is great! He helped my daughter with Calculus and she said she appreciated that he always took the time to make sure she thoroughly understood a problem she was working on, before they moved on to the next one. Great teacher! We are very fortunate to have found Colin to tutor our son, who is 14, in algebra. He was struggling in his class and with his confidence in math, but after his first few sessions with Colin his quiz and test scores in algebra came up. Not only that, but he even teaches his classmates the techniques he has learned with Colin. Very impressed with our son’s progress. Thank you Colin! Colin is a methodical and excellent teacher for my son who needed help with multi variable calculus. He’ll be our go to teacher for now and the future. Thank you Colin. Colin is amazing! I'm so happy we have been fortunate enough to find him. He is incredibly patient, easy going and very knowledgeable. He has a way of teaching that explains in detail the 'why and how to' that enables my daughter to better understand and move forward with the next stage. She loves math and looks forward to her lessons with Colin. An absolute 5 star teacher. Thank you Colin. My son (12) genuinely enjoys his lessons with Colin, and he's greatly benefitted from his patient and comprehensive teaching style. He's becoming more confident in his math skills. Thanks, Colin! He's an Algebra superstar! Patient and great tutor. Colin has a great grasp of the material. He really helped me through such a tough subject! Colin has been the best tutor! He was a huge help in this past semester, as my professor was not good at teaching. Many of the concepts in pre-cal are very confusing and new; I wouldn't have been able to pass the class with an A without Colin's help!! Colin is amazing!!! Glad we found him for summer help. Really took his time to make sure my son understood the concept and not just a quick do and be done. He s got a nice teaching style. Ty! Colin was flexible with my schedule and was readily available if I had additional questions. He broke subject matter down for me and made sure that I had a good understanding of the topic before moving forward. Most importantly, Colin never made me feel incapable when it came to doing the work. Colin has such a strong passion for science and it's easily seen in his teaching style. He takes time to make sure that I understand the material before moving into the next section. He is very flexible and works around my schedule, especially if I have a final coming up! He has helped me get all A's in my general chemistry courses and I recommend him to anyone who needs some extra help to get higher grades! I'm happy to say I found Colin for help with my calculus 1 class. I was doing okay from the beginning, but I felt like I was lacking the depth of understanding of some core algebra concepts and wanted to get solid on them before the class got more challenging (integration), as I was striving for an A in the class. Colin was a wizard at honing in on my weak points and he did an excellent job of really breaking things down and honestly, presenting concepts in more tangible ways than did any of my algebra teachers. I used the principles I learned from my sessions with Colin to get me through some challenging exam problems, and I'm proud to say that I ended up with a 97% in the class overall! Colin tutored me in business math and he did such great job!!! He explained it so well for me to understand and he knew the material. Very professional. My 3 daughters looked forward to Tutoring Nights with Colin! I have 3 girls in High school (10th, 10th, and 9th) . they had been struggling in math since I can remember. I didn't think I could afford tutoring. They each had an 'F' in math. I found Colin, and what a blessing! In just THREE short weeks Colin had my girls understanding HIS lessons, their CLASSROOM lessons and PASSING their exams! They brought their grades up too! He didn't expect them to just ride a bike. he took the proper steps and taught my girls about the bike parts, the way the bike functions, how they all work together, how to properly sit and pedal, and he even held them up until they understood it completely and eventually were able to ride the bike on their own. Thank you Colin! for putting my girls back on track with math! He is very good at explaining and making math simple. He's helping me take algebra and geometry at the same time. My grades have defiantly improved! I really enjoy these lessons and help. I highly recommend him for a tutor. Colin provided me with tutoring for chemistry, via FaceTime. Over the semester he was very flexible with my off-peak time schedules, and was EXTREMELY patient to my questions. Using Colin for tutoring helped my grades and provided an overall great value. Thanks Colin!